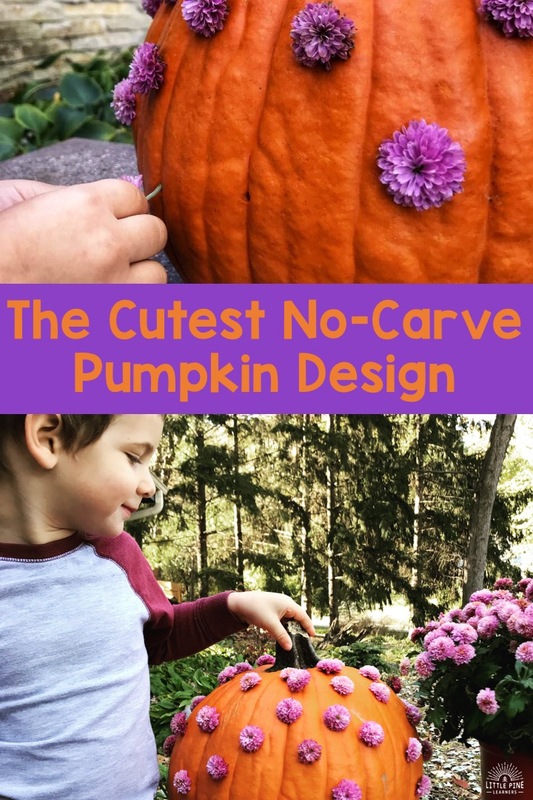 Are you looking for the cutest no-carve pumpkin design to display on your front porch this fall? You’ve stopped at the right place! 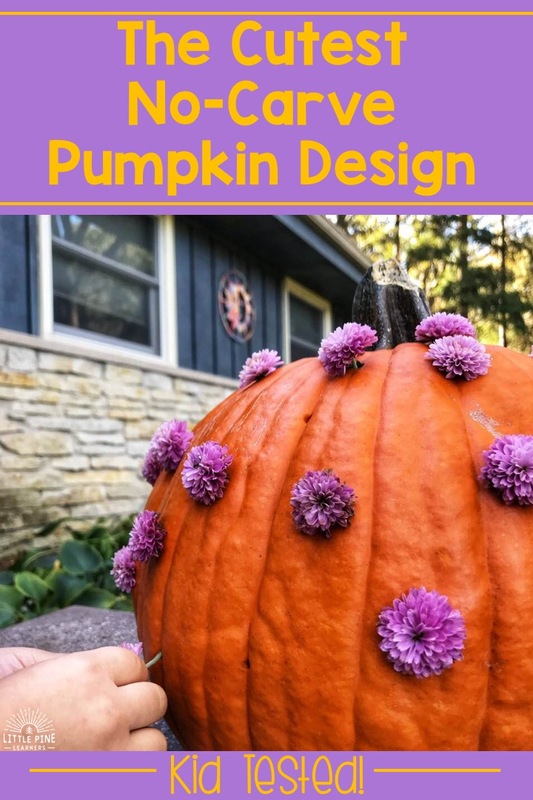 This beautiful mum pumpkin is the perfect idea for kids that are too young to carve their own pumpkins. Read on to see how we achieved this look! It might surprise you. 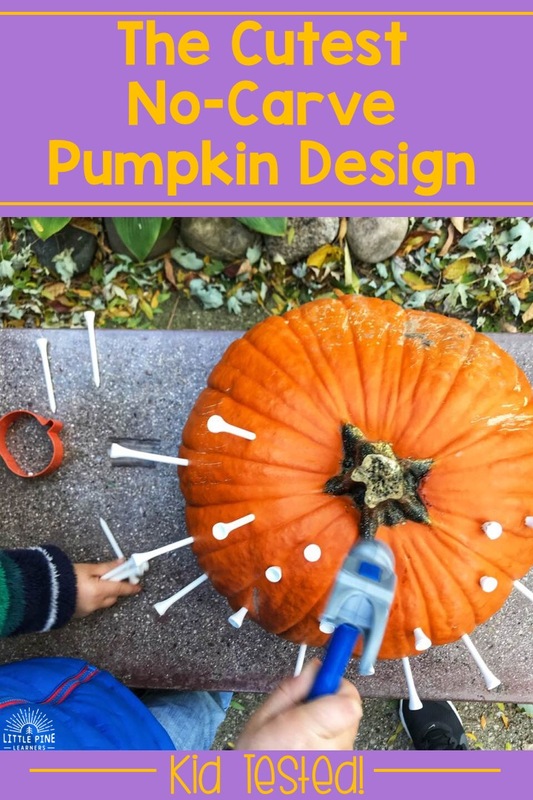 We started this activity by pounding golf tees into the pumpkin. I’ve seen this going around Pinterest and have wanted to give it a try for a while now. 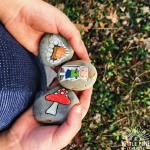 This is such a great activity for fine motor work and kept my boys busy for about an hour! I poked about 30 golf tees just through the skin of the pumpkin and set out the plastic hammer for my boys. We went over the ground rules first and talked about being safe with the hammer and taking turns with the tool. Twist the golf tees as you pull them out. If that doesn’t work, use the other end of a hammer to pull them out. 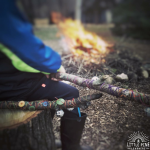 Now that the golf tees are out, you have the perfect sized holes for those little mum stems. 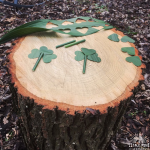 We pulled the leaves off the stems and poked them right through the holes! We found that stems only a couple of inches long worked the best. If you don’t have mums, try another flower! 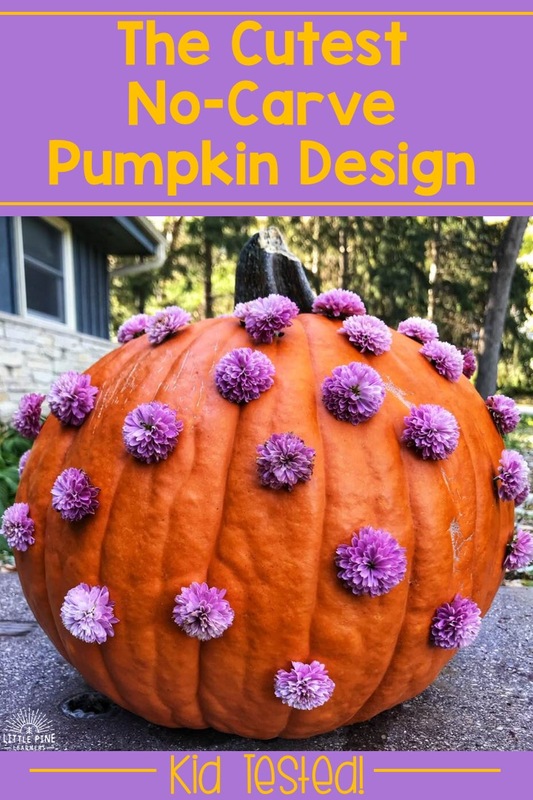 I’m sure it would be just as beautiful as our mum pumpkin. If you try this activity, tag me on Instagram! 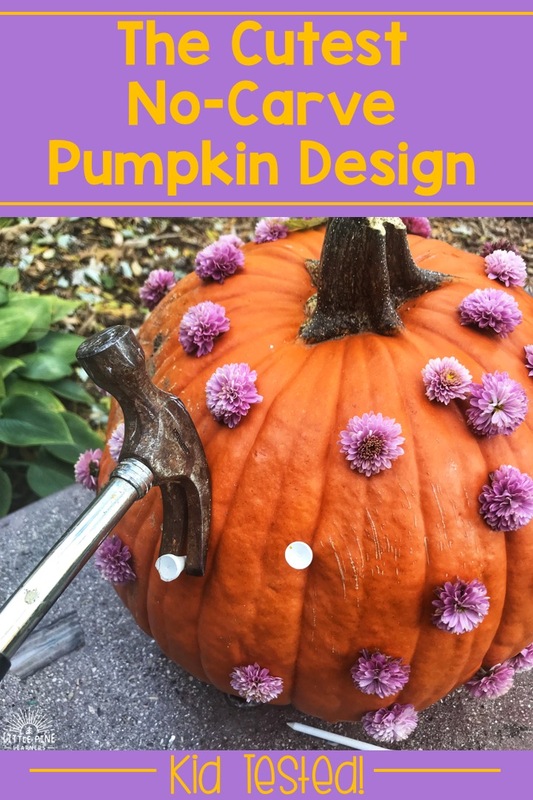 I’d love to see how your pumpkin turns out!